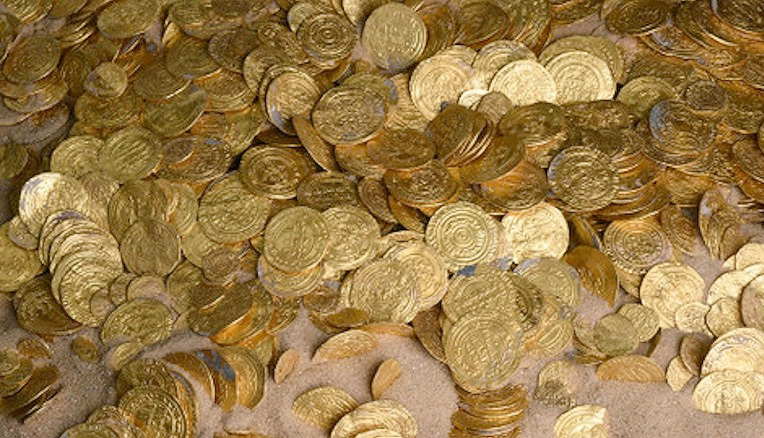 The largest treasure of gold coins discovered in Israel was found in recent weeks on the seabed in the ancient harbor in Caesarea National Park. A group of divers from the diving club in the harbor found the lost treasure. 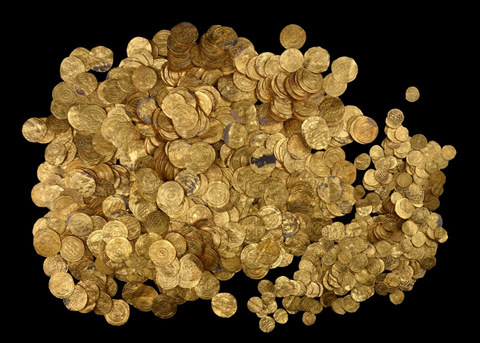 The largest hoard of gold coins found in Israel was discovered in the seabed of a harbour in the Mediterranean Sea port of Caesarea National Park. Using a metal detector, the Marine Archaeology Unit of the Israel Antiquities Authority's divers found gold coins in different denominations: a dinar, half dinar and quarter dinar, of various dimensions and weight. 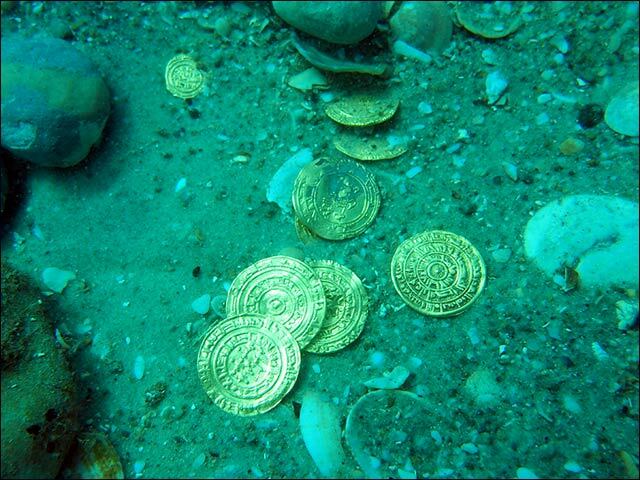 “The discovery of such a large hoard of coins that had such tremendous economic power in antiquity raises several possibilities regarding its presence on the seabed. There is probably a shipwreck there of an official treasury boat which was on its way to the central government in Egypt with taxes that had been collected," he added. The earliest coin exposed in the treasure is a quarter dinar minted in Palermo, Sicily in the second half of the ninth century CE. Most of the coins though belong to the Fatimid caliphs Al-Ḥākim (996–1021 CE) and his son Al-Ẓāhir (1021–1036), and were minted in Egypt and North Africa. The coin assemblage included no coins from the Eastern Islamic dynasties and it can therefore be stated with certainty this is a Fatimid treasure. According to Robert Cole, an expert numismaticist with the Israel Antiquities Authority, “The coins are in an excellent state of preservation, and despite the fact they were at the bottom of the sea for about a thousand years, they did not require any cleaning or conservation intervention from the metallurgical laboratory. This is because gold is a noble metal and is not affected by air or water.